The winner of the ‘FlySmiLes – Dialog Axiata Register & Win Promotion,’ Dayananda Kukulewithana, received a prize of a return air ticket to the Maldives on SriLankan Airlines. 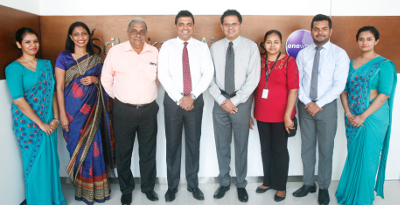 The FlySmiLes – Dialog Axiata Register & Win Promotion created awareness among Dialog Roaming customers of the many rewards of SriLankan Airlines FlySmiLes and rewarded all new members during a recent six-week period with an additional 1,000 Bonus Miles. The frequent flyer programme of SriLankan Airlines, FlySmiLes, is in partnership with oneworld, which is an alliance of the world’s leading airlines coming together as one to provide customers with a seamless travel experience of the highest standard.